Veletsianos, G. & Kimmons, R. (2012). Assumptions and challenges of open scholarship. 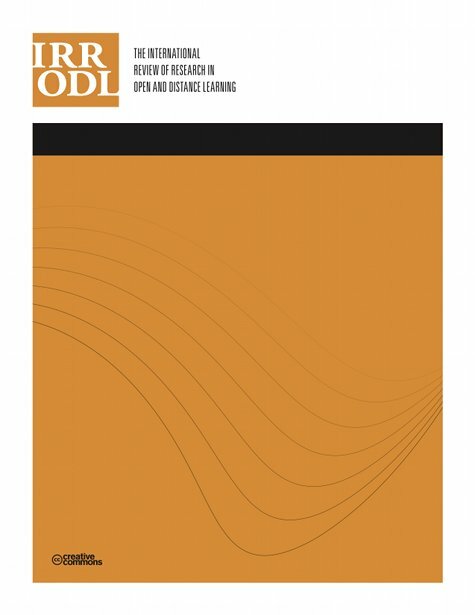 The International Review of Research in Open and Distributed Learning, 13 (4), 166-189. Athabasca University Press. Retrieved April 19, 2019 from https://www.learntechlib.org/p/49315/. Beer, D.D. (2008). Social network(ing) sites… revisiting the story so far: A response to danah boyd& Nicole Ellison. Journal of Computer-Mediated Communication, 13(2), 516–529. Binkley, R.C. (1935). New tools for men of letters. The Yale Review, 24, 519-537. Bonk, C.J. (2009). The world is open: How Web technology is revolutionizing education. San Francisco, CA: John Wiley and Sons. Brody, T., & Harnad, S. (2004). Comparing the impact of open access (OA) vs. Non-OA articles in the same journals. D-Lib Magazine, 10(6). Bull, G., Thompson, A., Searson, M., Garofalo, J., Park, J., Young, C., & Lee, J. (2008). Connecting informal and formal learning experiences in the age of participatory media. Contemporary Issues in Technology and Teacher Education, 8(2), 100–107. Chander, A., & Sunder, M. (2004). The romance of the public domain. California Law Review, 92(5), 1331-1373. Coiro, J., Knobel, M., Lankshear, C., & Leu, D. (2008). Central issues in new literacies and new literacies research. In J. Coiro, M. Knobel, C, Lankshear, C., & D. Leu (Eds. ), Handbook of research on new literacies (P. 1-21). New York: Lawrence Erlbaum. Couros, A. (2010). Developing personal learning networks for open and social learning. In Veletsianos G. (Ed. ), Emerging technologies in distance education (P. 109-128). Davis, L. (2000). Electronic highways, electronic classrooms: Distance education in Canada. In M.B. Castellano, L. Davis, & L. Lahache (Eds. ), Aboriginal education: Fulfilling the promise (pp. 224-251). Vancouver, BC: UBC Press. Davis, P. (2006, March). Do open-access articles really have a greater research impact? College& Research Libraries, 67(2). Davis, P., & Fromerth, M.J. (2007). Does the arXiv lead to higher citations and reduced publisher downloads for mathematics articles? Scientometrics, 71(2), 203-215. Evans, J.A. (2008). Electronic publication and the narrowing of science and scholarship. Science, 321(5887), 395-399. Evans, J.A., & Reimer, J. (2009). Open access and global participation in science. Science, 323(5917), 1025. Eysenbach, G. (2006). Citation advantage of open access articles. PLoS Biol, 4(5), e157. Fini, A. (2009). The technological dimension of a massive open online course: The case of the CCK08 course tools. International Review of Research in Open and Distance Learning, 10(5). Friedman, T.L. (2005). The world is flat: A brief history of the twenty-first century. New York: Farrar, Straus, and Giroux. Furlough, M. (2010). Open access, education research, and discovery. The Teachers College Record, 112(10), 2623-2648. Gargouri, Y., Hajjem, C., Larivière, V., Gingras, Y., Brody, T., & Harnad, S. (2010). Selfselected or mandated, open access increases citation impact for higher quality research. Plos one, 5(10), e13636. Garnet, F., & Ecclesfield, N. (2011). Towards a framework for co-creating open scholarship. Proceedings of the Association for Learning Technologies Conference (ALT-C). Greenhow, C., Robelia, B., & Hughes, J. (2009). Learning, teaching, and scholarship in a digital age: Web 2.0 and classroom research: What path should we take now? Educational Researcher, 38(4), 233–245. Henneken, E., Kurtz, M., Eichhorn, G., Accomazzi, A., Grant, C., Thomson, D., & Murray, S. (2006). Effect of e-printing on citation rates in astronomy and physics. Journal of Electronic Publishing, 9(2). Hilton, J., & Wiley, D. (2010). Free: Why authors are giving books away on the Internet. TechTrends, 54(2), 43–49. Jenkins, H., Clinton K., Purushotma, R., Robinson, A.J., & Weigel, M. (2006). Confronting the challenges of participatory culture: Media education for the 21st century. Chicago, IL: The MacArthur Foundation. Kirkup, G. (2010). Academic blogging: Academic practice and academic identity. London Review of Education, 8(1), 75–84. Kop, R., & Fournier, H. (2010). New dimensions to self-directed learning in an open networked learning environment. International Journal of Self-Directed Learning, 7(2), 2-20. Kuchma, I. (2008). Open access, equity, and strong economy in developing and transition countries: Policy perspective. Serials Review, 34(1), 13–20. Kumashiro, K., Pinar, W., Graue, E., Grant, C., Benham, M., Heck, R., Scheurich, J., Luke, A., & Luke, C. (2005). Thinking collaboratively about the peer-review process for journal-article publication. Harvard Educational Review, 75(3), 257-285. Kurtz, M., & Brody, T. (2006). The impact loss to authors and research. In N. Jacobs (Ed. ), Open access: Key strategic, technical and economic aspects. Oxford: Chandos Publishing. Laakso, M., Welling, P., Bukvova, H., Nyman, L., Björk, B.-C., & Hedlund, T. (2011). The development of open access journal publishing from 1993 to 2009. PLoS ONE, 6(6), e20961. Lewis, S.P. (2006). Open access articles have a greater research impact than articles not freely available. Evidence Based Library and Information Practice, 1(3), 57-59. Lynch, C.A. (2003). Institutional repositories: Essential infrastructure for scholarship in the digital age. Portal: Libraries and the Academy, 3(2), 327-336. Martindale, T., & Wiley, D.A. (2005). Using weblogs in scholarship and teaching. TechTrends, 49(2), 55-61. Mazer, J., Murphy, R., & Simonds, C. (2007). I’ll see you on “Facebook”: The effects of computer-mediated teacher self-disclosure on student motivation, affective learning, and classroom. Communication Education, 56(1), 1-17. Mazer, J., Murphy, R., & Simonds, C. (2009). The effects of teacher self-disclosure via Facebook on teacher credibility. Learning, Media and Technology, 34(2), 175-183. McAuley, A., Stewart, B., Siemens, G., & Cormier, D. (2010). The MOOC model for digital practice (University of Prince Edward Island, Social Sciences and Humanities Research Council’s Knowledge synthesis grants on the Digital Economy report). Retrieved from http://www.elearnspace.org/Articles/MOOC_Final.pdf. Moed, H.F. (2006). The effect of “Open Access” upon citation impact: An analysis of ArXiv’s condensed matter section. Journal of the American Society for Information Science and Technology, 58(13), 2145-2156. Moran M., Seaman J. & Tinti-Kane H. (2011). Teaching, learning, and sharing: How today’s higher education faculty use social media for work and for play. Pearson Learning Solutions. Munoz, C., & Towner, T. (2009). Opening Facebook: How to use Facebook in the college classroom. Proceedings of Society for Information Technology& Teacher Education International Conference (pp. 2623–2627). Nardi, B.A., Schiano, D.J., & Gumbrecht, M. (2004). Blogging as social activity, or, would you let 900 million people read your diary? Proceedings of the 2004 ACM conference on Computer supported cooperative work (pp. 222–231). Neylon, C., & Wu, S. (2009). Article-level metrics and the evolution of scientific impact. PLoS Biology, 7(11), e1000242. Norris, M., Oppenheim, C., & Rowland, F. (2008). The citation advantage of open-access articles. Journal of the American Society for Information Science and Technology, 59(12), 1963-1972. Pariser, E. (2011). The filter bubble: What the Internet is hiding from you. London: Viking/ Penguin Press. Pearce, N.,Weller, M., Scanlon, E., & Kinsley, S. (2010). Digital scholarship considered: How new technologies could transform academic work in education. In Education, 16(1). Roblyer, M., McDaniel, M., Webb, M., Herman, J., & Witty, J.V. (2010). Findings on Facebook in higher education: A comparison of college faculty and student uses and perceptions of social networking sites. The Internet and Higher Education, 13(3), 134-140. Rosenberg, D.(2003). Early modern information overload. Journal of the History of Ideas 64(1), 1-9. Trinidad, S.B., Fullerton, S.M., Bares, J.M., Jarvik, G.P., Larson, E.B., & Burke, W. (2010). Genomic research and wide data sharing: Views of prospective participants. Genetics in Medicine, 12(8), 486-495. Tufekci, Z. (2008). Grooming, gossip, Facebook, and MySpace. Information, Communication& Society, 11(4), 544-564. Veletsianos, G., & Kimmons, R. (2012). Networked participatory scholarship: Emergent techno-cultural pressures toward open and digital scholarship in online networks. Computers& Education, 58(2), 766-774. Walker, J. (2006). Blogging from inside the ivory tower. In A. Bruns & J. Jacobs (Eds. ), Uses of blogs. New York, NY: Peter Lang. Weller, M. (2011). The digital scholar: How technology is transforming scholarly practice. London, UK: Bloomsbury Academic. Wiley, D., & Green, C. (2012). Why openness in education? In D. Oblinger (Ed. ), Game changers: Education and information technologies (pp. 81-89). Educause. Wilson, B., Parrish, P., & Veletsianos, G. (2008). Raising the bar for instructional outcomes: Towards transformative learning experiences. Educational Technology, 48(3), 39-44. Zaugg, B.H., West, R.E., Tateishi, I., & Randall, D.L. (2011). Mendeley: Creating communities of scholarly inquiry through research collaboration. TechTrends, 55(1), 32-36.